A jib crane is a type of crane where the horizontal part of the crane, known as a jib, supports a moveable hoist that is either fixed to a wall (wall mounted jib crane) or to a floor mounted column (free standing jib crane). We can design and build a jib crane with capacities of up to 10 tonnes as well as a reach of 10 metres. Our jib cranes provide versatile lifting and radial travel through the full 360 degrees if required. 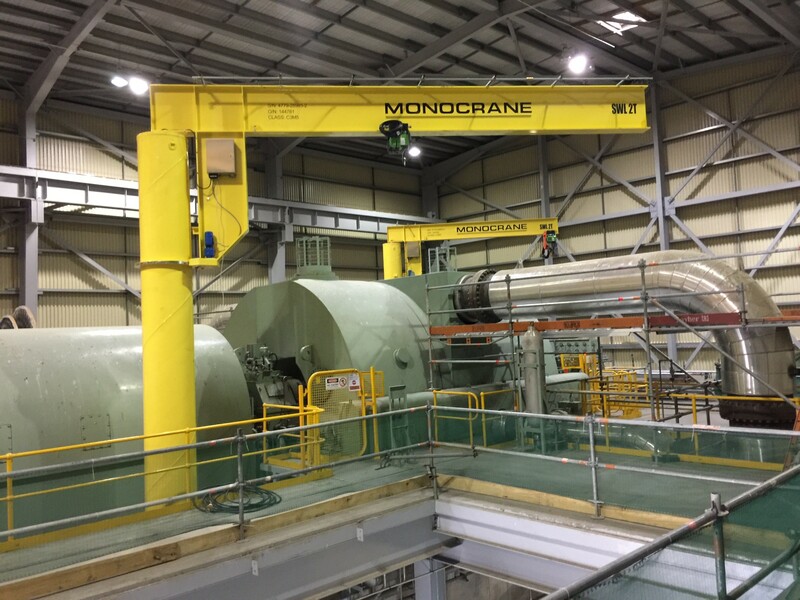 MONOCRANE 2010 jib cranes offer excellent floor coverage and low headroom design to guarantee you maximise useable floor space and height of lift available.